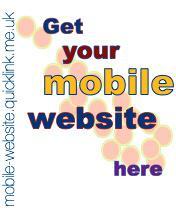 NO THIRD PARTY ADVERTISING ON YOUR MOBILE WEBSITE - unless you want it ! Your mobile web site will be complete and ready to upload to your hosting account normally within 10/14 days after payment - we can install your mobile website as a subdomain of your main website, you don't need to purchase a new domain name. 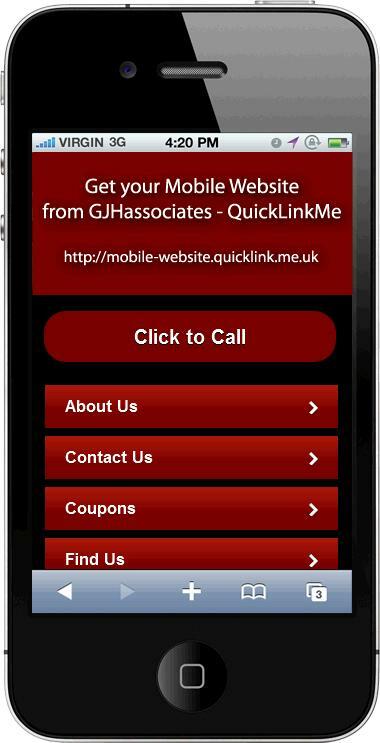 the option to have your customer immediately diverted to your mobile website should they look at your normal website whilst on their mobile phone - a great feature ! a QR code on your main website (use also on your business card, leaflets, wherever you want to place one) allowing viewers to scan the code with their smartphone and immediately connect to your mobile website.